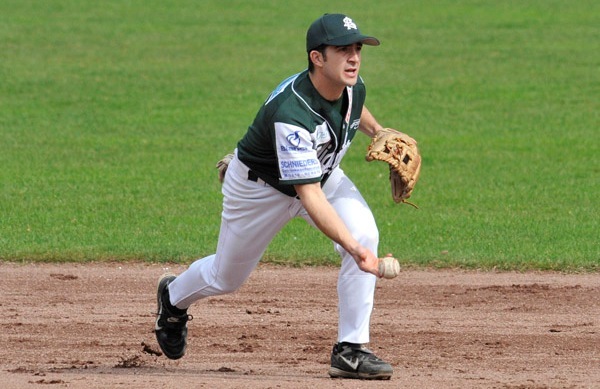 After just four games in the 2010 season the Solingen Alligators have parted ways with infielder Damon Lessler and replace him with Evan Porter. The clubs cites a lack of offensive production as reason for the change; even though they were happy with his defense and his coaching duties. The 27-year-old Lessler played two years in independent leagues before coming to Germany to replace Chris Beck at short in Solingen, who led the northern division two years in hitting. Porter is 23 years old and from Omaha, Nebraska. He was selected by the Philadelphia Phillies in the 23rd round of the 2009 amateur draft, but got released by the Major League club during Spring Training this March. The middle infielder made his professional debut last summer for Williamsport in the NY-Penn League (Low-A short season), batting .183 (OBP .241/SLG .250) with a triple, five doubles, six runs scored and five RBI in 31 games, splitting time at short and second.